We also saw that Sharīra Trayam and Kosha Panchakam both refer to the same personality alone. The Sharīra Trayam itself looked from another angle is called Kosha Panchakam and are practically one and the same. We will now go to the next and important topic of Tattvabodha namely Ātmā. Translated in English as Self or Soul. We will however maintain the usage of only Ātmā or Ātmān. From the previous topics, we come to know that all the three bodies, Sharīra Trayam, are made up of matter. The gross body is made of gross elements – Pancha Bhūtāni – and since all the five elements are matter only, the gross body is made up of matter and hence is material in nature. Material meaning a product of matter. In Sanskrit we can translate matter as Bhūtam and material as Bhautikam. The Sthūla Sharīram is Pāncha Bhautikam material in nature. Similarly we saw the Sūkshma Sharīram or subtle body that is also made up of five subtle elements, only difference being that Sūkshma Sharīram is made out of subtle elements but that is also Pāncha Bhautikam and therefore material in nature. So gross body is material and subtle body is also material. Also the causal body is the subtlest form of matter only because causal body is only the seed form of gross and subtle bodies. So before the gross and subtle bodies are generated, they should exist in potential form by law of conservation of matter and energy. Therefore before Srushti the gross and subtle body must have existed in potential form. That potential gross and subtle body is called causal body. Therefore that causal body must also be potential matter. Therefore Kārana Sharīram is also material. What we arrive is that Sharīra Trayam is material in nature. In Sanskrit matter is called Jadam. And once we understand that the three Sharīrams are Jadams, we have to derive certain important corollaries. Firstly, any matter or material is inert in nature. According to Vedanta Shāstram, the definition of inertness is that which does not have consciousness and that which cannot produce consciousness. In Sanskrit we say we say it is neither Chaitanya Gunakam nor Chaitanya Janakam – does not have consciousness of its own and it cannot produce or generate consciousness also respectively. Since Sharīra Trayam is Jadam, material in nature, it does not have consciousness and does not produce consciousness. Therefore according to Shāstram, all the three Sharīram by their intrinsic nature are inert, non-consciousness, insentient in nature. This means that not only the body is inert and insentient, according to Shāstram, the mind also being part of Sūkshma Sharīram is also inert matter and therefore insentient. So according to Vedanta, mind does not have its own consciousness and mind cannot produce consciousness also. Same with Kārana Sharīram also. So all the three bodies are intrinsically insentient. So Kasmāt ? Bhautikatvāt. So Sharīra Trayam Jadam Bhautikatvāt Ghatavat. This is the corollary we get from the study of the three bodies. Even if this is the logical corollary, we find our experience is otherwise. Even though the three bodies must be insentient logically, I experience the three bodies as sentient ones – Chetana Sthūla Sharīram I experience the body as a conscious body, conscious of the surroundings. Similarly I experience the mind as very much sentient. In short Sharīra Trayam is experienced as sentient one. But logically Sharīra Trayam must be insentient one. How do we reconcile to this ? Logically Sharīra Trayam is insentient. By experience Sharīra Trayam is sentient. Vedānta Shāstram say this is possible. Suppose we know that a person is extremely poor but comes to a function with lot of ornaments. What is to be inferred ? If he does not have his own and if he is still wearing them, the ornaments must be borrowed ones. A person is naturally ugly but now looks beautiful. This is possible through made up beauty or make-up. So very simply, in the same way Shāstram point out Sharīra Trayam does not have Svābhāvika Chaitanyam. It does not have natural consciousness and therefore they have Āgantuka Chaitanyam or borrowed consciousness. With borrowed consciousness these three Sharīram are strutting like a peacock very proudly otherwise, there is not difference between a statue and our physical body. From the Shāstram angle we say Pancha Bhūtāni, from a scientific angle we say Body is made up of Chemical. How come that bundle of chemical is inert and this bundle of chemical is sentient. The only reason is that these enjoy borrowed consciousness. Firstly we said Sharīra Trayam Bhautikam. And they appear as though sentient and therefore Sharīra Trayam has borrowed consciousness. Sthūla Sūkshma Kārana Sharīrat Vyatiriktaha – other than these three there is a fourth factor which is the lender of consciousness. What is that factor ? Who is the lender of that consciousness ? Enter Ātmā. Ātmā is the fourth factor in human personality which is the lender of consciousness to the first three factors – Sharīra Trayam. Therefore we can say Ātmā makes Sharīra Trayam aglow with consciousness. Ātmā makes Sharīra Trayam alive with consciousness. Ātmā makes Sharīra Trayam sentient with consciousness. The nearest comparison is that just as electricity makes the bulb aglow with light or brilliance. We know that the bulb cannot glow by itself. The filament cannot glow by itself. Therefore other than the bulb and filament, there is another principle called electricity which makes the filament glow first, and through the filament it makes the bulb also brilliant. But the only thing is that the electricity part is invisible, the glowing filament and bulb alone are visible. Thus the visible bulb and filament are made glowing because of the invisible electricity “blessing” the bulb. What is the nature of this Ātmā ? In Kenopanishad, Ātmā is called Devaha. We will see the important features of the Ātmā. Ātmā is of the nature of consciousness itself. It is a non-material principle. We say so because if Ātmā is also another matter, like the Sharīra Trayam, then Ātmā also will be Jadam and Ātmā will have to borrow consciousness from another principle. This will be never ending. So the original lender must be a non-borrower. A borrowing lender is not the original lender. Ātmā being the original lender, Ātmā should not be borrowing consciousness from elsewhere. This means that Ātmā must be non-material in nature. In English they use the word Spirit as opposed to matter. Ātmā is said to be spiritual in nature. Hence the first feature of Ātmā is that it is the non-material principle, spiritual principle of the nature of consciousness – Chaitanya Svarūpaha or Chit Rūpaha. Ātmā is Svatantraha. It is an independent principle because it is of the nature of consciousness which is not dependant on matter for its production or existence. Consciousness does not depend on matter for its existence as well as production. Previously we said, matter does not have consciousness. If matter has consciousness then consciousness will depend on matter. If matter produces consciousness then also consciousness will depend on matter. 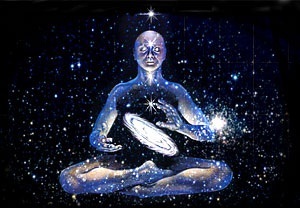 Since consciousness does not belong to matter and is not produced by matter, consciousness is an independent entity and does not depend on matter either for production or existence. This is the independent principle. Since Ātmā is non-material in nature, it does not have any of the attributes belonging to matter. In fact whatever attributes we know, are all material attributes either perceived directly by our eyes or various instruments. All attributes we know belong to matter. Shabda, Sparsha Rūpa, Rasa and Gandha belong to the five elements of Ākāshaha, Vāyuhu, Agni, Āpaha and Pruthvi and the five elementals i.e. their products. Ātmā is free from all these attributes. Ātmā is therefore Nirgunaha – attribute-less and property-free. Since Ātmā does not depend on matter or Sharīra Trayam for its existence or production, even when matter perishes or collapses, Ātmā the consciousness principle continues to survive. Just as the electricity continues to survive even after the filament is destroyed, electricity is there. You do not feel the glow of the bulb and this is not because electricity is not there, but the bulb or filament is gone. Non-manifestation of electricity in the form of light is not non-existence of electricity. Even when the matter Sharīra Trayam collapse, Ātmā the consciousness principle continues to survive. Therefore Ātmā is Nityaha. In a scientific language, the scientists point out that the universe is four dimensional. Three are spatial dimensions. The fourth one is called Time dimension. Form this we come to know that time is the property or the fourth dimension of the material universe and consciousness being non-material, it does not have the property of time also. It is beyond time and is unconditioned by time – unlocatable time wise. In simple language, Nityaha or Kāla Atītaha. Time and space are closely interconnected. Therefore Ātmā is not bound by time. It is invariably not restrained by, not conditioned by, not circumscribed by space also. Therefore Sarvagataha. It is not located in the Sharīra Trayam. It is behind Sharīra Trayam also. Just as the electricity is not the behind the small bulb, in fact one electricity is behind all the bulbs. It is there in between as well but we don’t see because there is no bulb. Similarly, Ātmā Sarvagataha or Sarvavyāpi and it is behind all the Sharīra Trayams. So bodies are many and of difference shapes (like small or big bulb). So we have a small Sharīra Trayam e.g. of an ant as well as a big one as that of an elephant and behind all of these, there is an Ātmā. Therefore Ātmā Sarvagataha. If Ātmā is one consciousness principle behind all the bodies, Ātmā has to be only one even though bodies are many. Ātmā Ekaha. Ātmā Advaitaha. Ātmā Advitīyaha – non-dual. So this Ātmā is the fourth factor in the personality of every individual. Interestingly enough lot of scientific study is going on the field of consciousness. Some scientists have made statements very close to Vedāntik teaching. Since this non-material consciousness is called Ātmā, the material Sharīra Trayam is called Anātmā. The first step in Vedāntik study is Ātmā Anātmā Vivekaha. Understanding that there are three factors within Anātmā range and one factor known as Ātmā and I the individual am a mixture of the material Anātmā and non-material Ātmā. Time-space-bound Anātmā and time-space-beyond Ātmā. Learning this is the first lesson of Vedanta. For further appreciation of Vedanta, we have to go through some exercise or discipline or Sādhanā for going further into the teaching. The word Ātmā literally means Self. Self means I. Naturally the word Anātmā means non-self. By using this expression Ātmā and Anātmā, what the scriptures want us to do is that we should train ourselves to claim the Ātmā as myself. Also the Upanishad teach us that we should gradually train to renounce our identification with the material perishable incidental Anātmā aspect. So discipline-identify from Anātmā and learn to identify with Ātmā. In Sanskrit Anātma Abhimāna Tyāgaha, Ātmā Abhimāna Nishthā. So this claiming of my real bio-data is claiming my birthright and I should learn to claim. And only as I claim this, further Vedāntik teaching will penetrate. This is the first lesson. The next question is – How can I train myself for that ? For this training, the scriptures give a method or Upāyaha. An Upāyaha is given for assisting this training which is called Druk Drushya Viveka. This is the methodology of training the mind to disown or disclaim the material Anātmā. You can use the material Anātmā but claim the non-material Ātmā. We don’t say you should not own the scooter, but you should not say I am the scooter. This method involves application of two important fundamental laws of Vedanta. I am different from whatever I experience. Whatever I experience is the experienced object. I the experiencer am the subject and therefore I the experiencer subject am different from whatever is the experience object. I experience a fan but am not the fan. I experience the entire world and I am not that. Extending this principle, if the world that I experience is not me, I experience my body and I experience my mind and therefore the body mind also are the object of my experience. Therefore I am the experiencer of Sharīra Trayam. Sharīra Trayam is the object of my experience and I am the subject behind the experienced object. I am ever the observer and never the observed. I the experiencer am free from the attributes of the experienced objects. And in fact all the attributes I experience belong either to the experienced world, the experienced body or the experienced mind. Therefore all known attributes belong to known material Anātmā. I am the knower of the attributes and therefore free from all these known attributes. Thus by applying these two laws, I am different from whatever I experience, I am free from the attributes of the objects that I experience.